8x8 Bumper Kit for C-Base, Red - AndyMark Inc. This bumper kit is designed to fit the AndyMark C-Base Chassis corners. 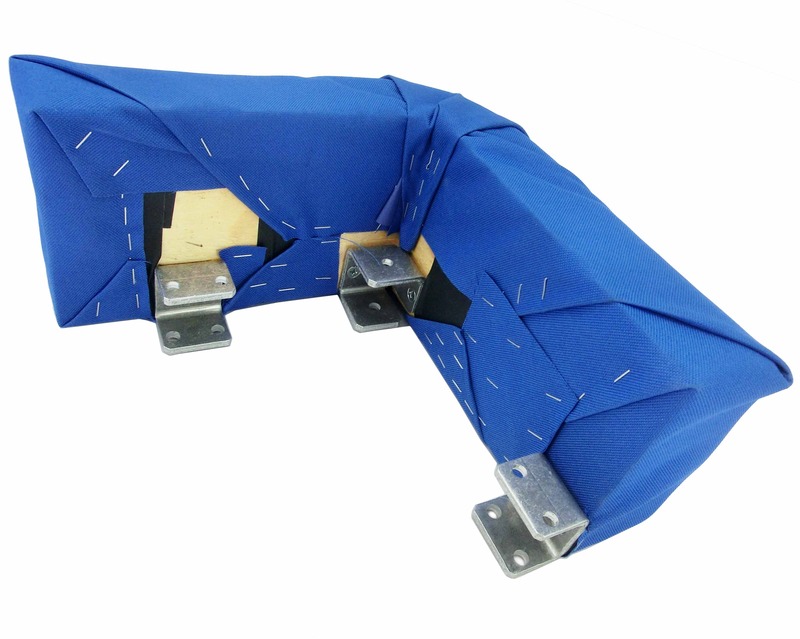 It comes with everything needed to create an 8" x 8" bumper for each of your robot's four (4) corners. This set creates four RED bumpers. This does NOT come with Plywood. This picture is an example of what one corner will look like. Hardware is included to make four of these. We also have stick-on numbers available (not included with material).